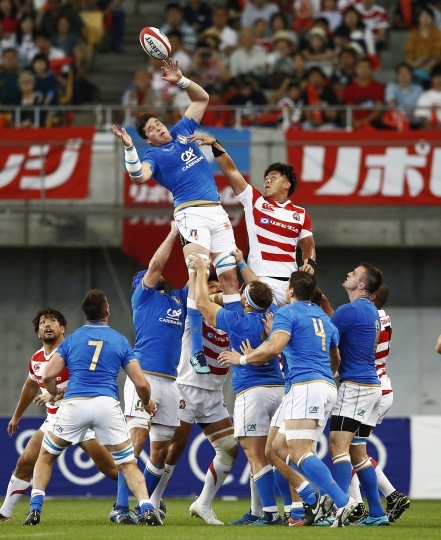 KOBE, Japan — Italy clung to a shrinking lead in the second half to beat Japan 25-22 in the second rugby test and level the two-match series on Saturday. Tries to winger Tommaso Benvenuti, captain Leonardo Ghiraldini and flanker Jake Polledri gave Italy a 19-3 lead early in the second half. Japan rallied strongly with tries to center Will Tupou and back-rower Amanaki Mafi to cut the margin to 19-17 after 66 minutes. 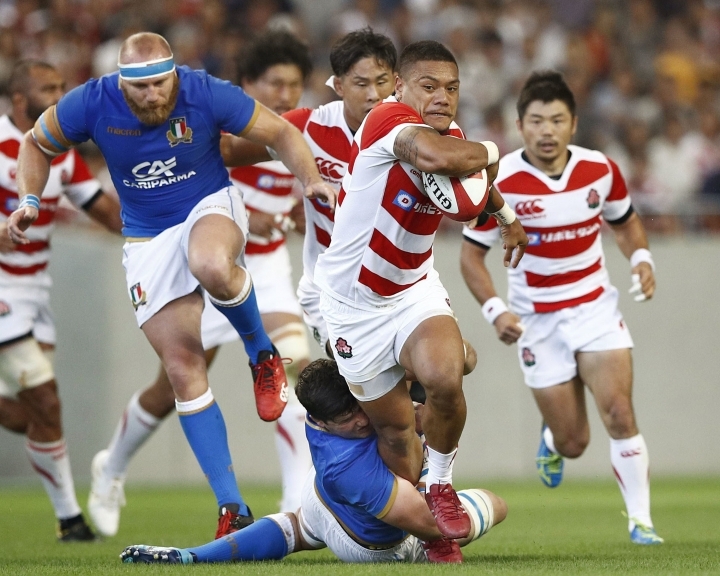 Italy flyhalf Tommaso Allan kicked two penalties to stretch the lead to 25-17 and Italy held on despite a try in the last minute to Japan fullback Kotaro Matsushima. Japan won the first test 34-17 in Oita a week ago. 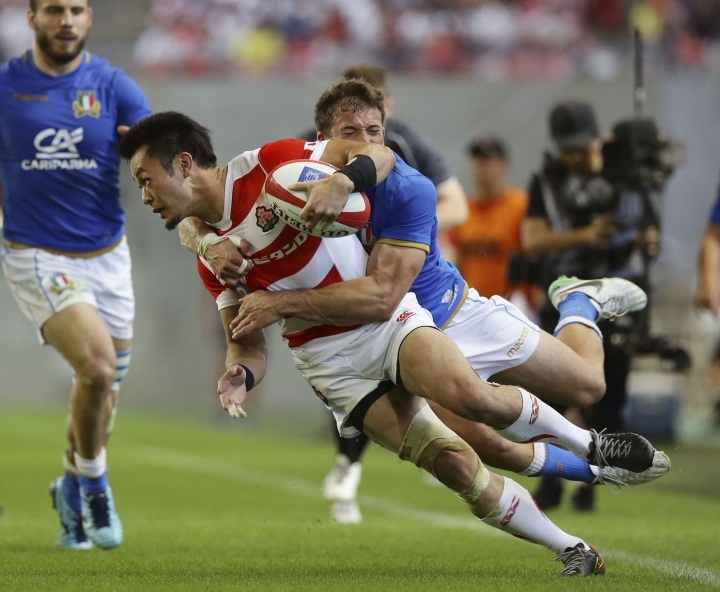 For the second week in a row, Japan produced a strong second-half performance but on this occasion it was not enough to overturn Italy's large early lead. Italy took the lead in the 18th minute when fullback Jayden Hayward began a counterattack near halfway and linked with flanker Sebastian Negri to create a try for Benvenuti, converted by Allan. 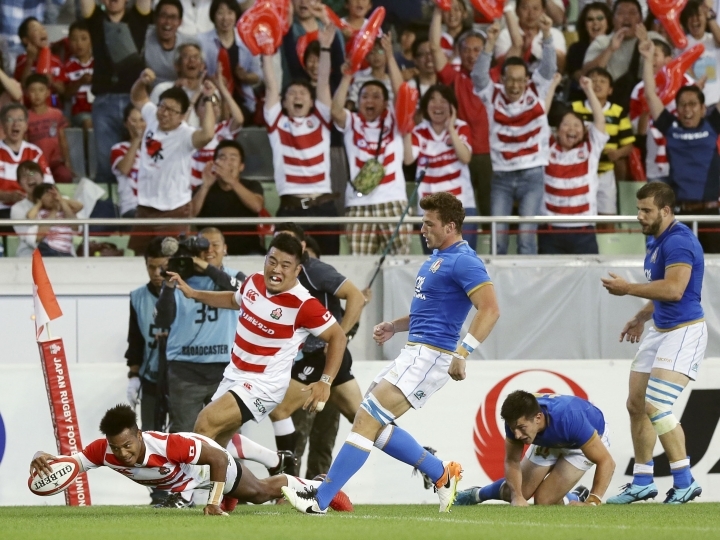 Ghiraldini scored after a series of rucks, then Yu Tamura, playing his 50th test, gave Japan its first points from a penalty. Italy led 12-3 at halftime and extended its lead to 19-3 when Polledri angled in to between the posts. Allan converted. 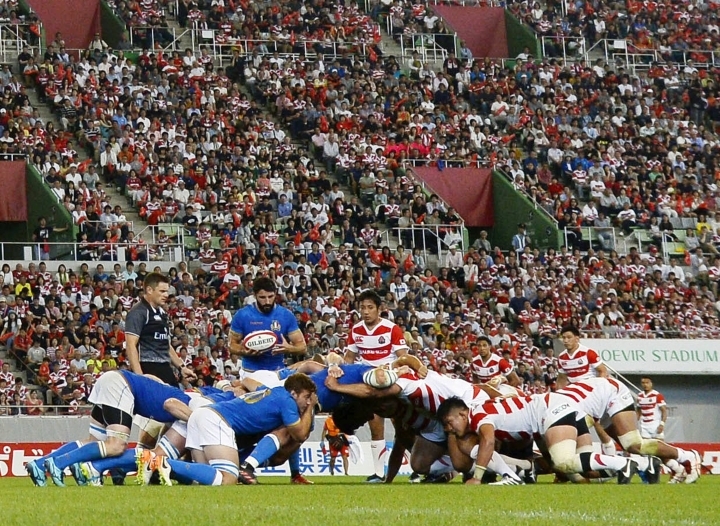 Japan scored its first try through Tupou after a good buildup by the forwards in the 60th. Mafi drove over only five minutes later and Japan had reduced the lead to two points and seemed to be finishing stronger. But penalties were conceded and Allan kicked over two for some breathing room.